Shown here in our client's 1930's traditionally built Surrey home. This period style oak pedestal dining table is from our Wilmington bespoke furniture range and was made to the shortest standard length, as space was limited in our clients small occasional dining area. 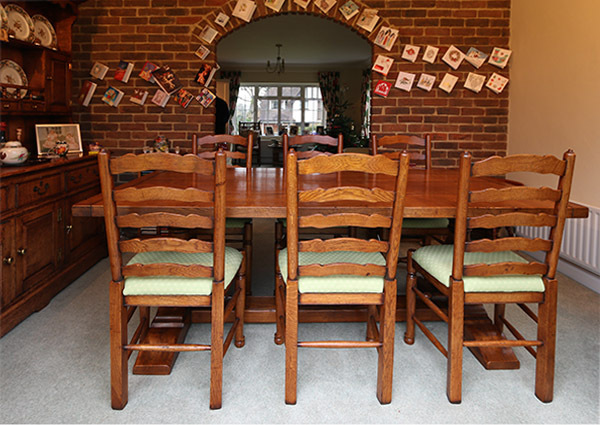 The ladderback chairs were also made by us and our client chose the option of having the rush seats replaced with upholstered cushions, in a fabric of their choice.